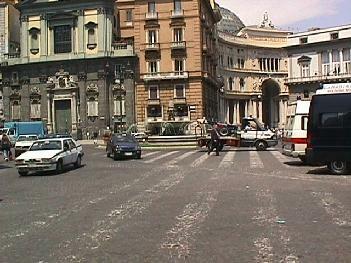 The building on the left is the Church of St. Ferdinand, which is located in the Trieste e Trento Square. Looking to the right you can see a building with an archway. This is the entrance to the Galleria Umberto Primo in Naples.